#3 GTPI in December 2016!This globally popular A2A2 sire is now+2637 with +2489 PTAM, +172 CFP and the best PTAT in the top five GTPI at +2.92! #1 Conf Sire at +18 and is the new #2 LPI Sire at +3190! 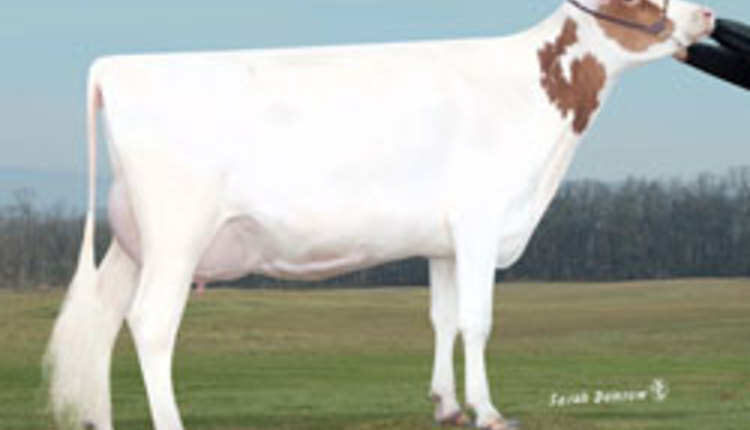 Doorman was a leading sire at both World Dairy Expo and the Royal Winter Fair, underscoring his status as a ShowTime™ sire. Calving Ease specialist 0200HO03895 Boldi VSG Airintake graduates in December at 6.1% SCE with exceptional +2.36 PTAT, +2.78 UDC, +2.03 FLC and +4.1 PL. He also ranks as #7 LPI sire with great functional and conformation figures. Dairymen tell us they're very pleased with their daughters and that he's working well in allenvironments.